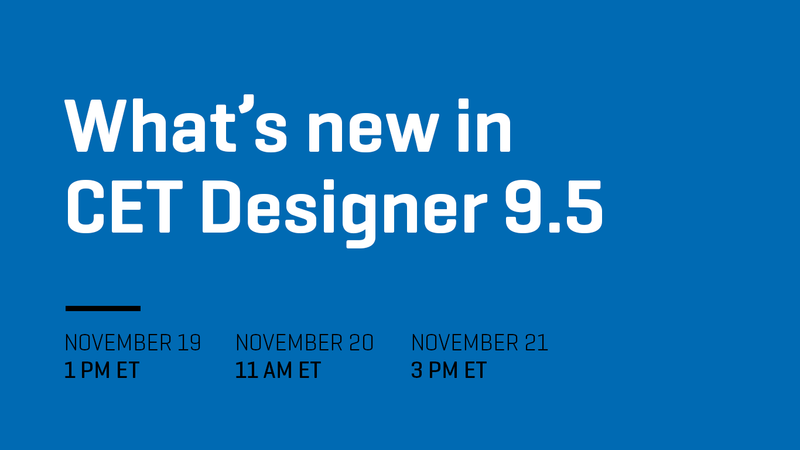 Configura, maker of CET Designer software, announces free November webinars with CET Designer instructors.Configura also announces virtual training for Introduction to CET Designer will be available in Spanish this December. The free webinars are for anyone, whether a Beginner or Advanced CET Designer user, anywhere in the world. Beginning in December, Configura will offer virtual training for Introduction to CET Designer in Spanish. Scheduled virtual and in-person training is available to all CET Designer users who want instructor-guided practice with real work project scenarios. Learn more at our academy page. To contact Configura with any questions or suggestions, call 877-238-0808.